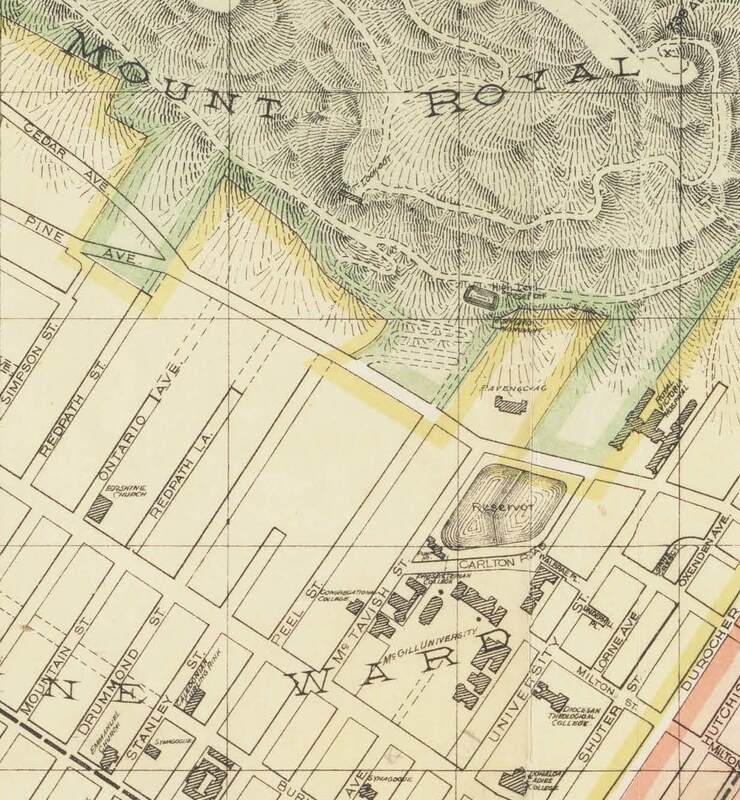 Map of the city of Montreal : prepared expressly for Lovell’s Montreal Directory for 1898-9 by Charles E Goad. 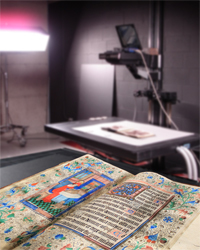 If you’d like to zoom in on an even bigger version you can download the full size PDF from our catalogue and export a 7.7MB JPG that measures 10004 × 7876 pixels. At that size you can really zoom in and get some detail. The original map is available for consultation from our Rare Books and Special Collections map room during regular opening hours. 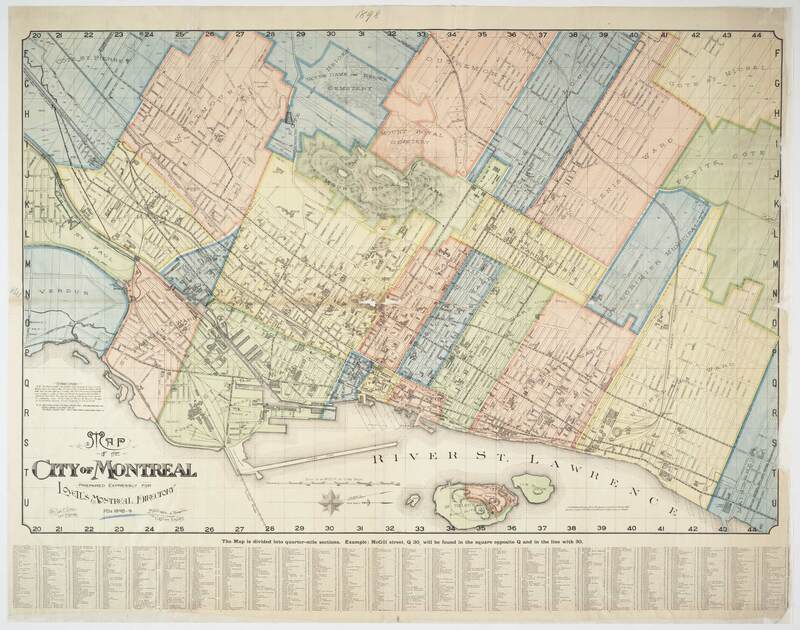 This entry was posted in Map Room, Montreal matters, Rare Books and Special Collections and tagged Montréal (Québec) -- Maps by Sarah Severson. Bookmark the permalink.